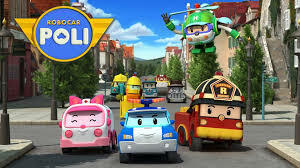 3Beep has worked with ROI to create the English language versions of four seasons Robocar Poli and the spinoffs Traffic Safety with Poli, Fire Safety with Roy, and Daily Safety with Amber. Copyright © 2019 , 3BEEP. All rights reserved.